Connect - Learn to connect what you learn with music you like and play like your favorite guitarists. 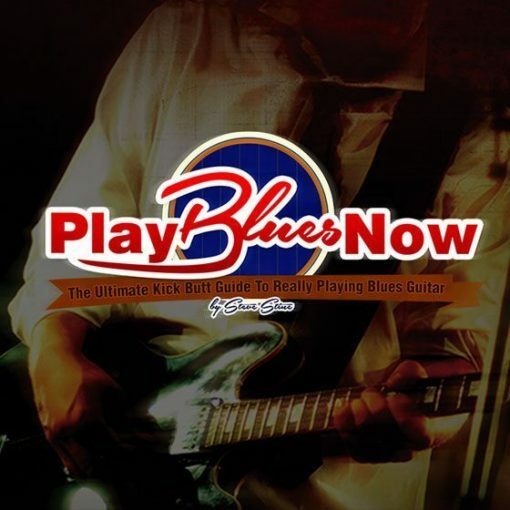 Play - Play authentic blues guitar and create your own blues solos from scratch. How hybrid picking can bring that down-home, Delta “flair” to your guitar playing, so you’ll sound authentic and original when you play. How to use the “Chord Chasing” technique when you improvise, so you’ll always know what to play next. 4 critical techniques every serious blues guitarist needs to know: string bends, slides, hammer-ons and pull-offs. Licks 1-19: easy blues licks that will help you gain confidence soloing. Licks 39-52: Texas blues licks in the style of Stevie Ray Vaughan and Johnny Winter. 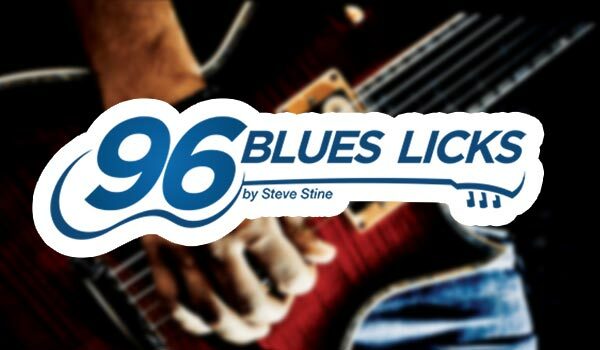 Licks 53-60: blues rock licks in the style of Eric Clapton, Derek Trucks, and Duane Allman. Licks 61-74: progressive blues licks in the style of Jimmy Page (Led Zeppelin) and Jimi Hendrix. Licks 75-85: funky blues licks made famous by players such as Freddie King, Albert Collins and Buddy Guy. Licks 86-92: old-school, acoustic blues licks in the style of players like Big Bill Broonzy, Blind Lemon Jefferson and the Rev. Gary Davis. 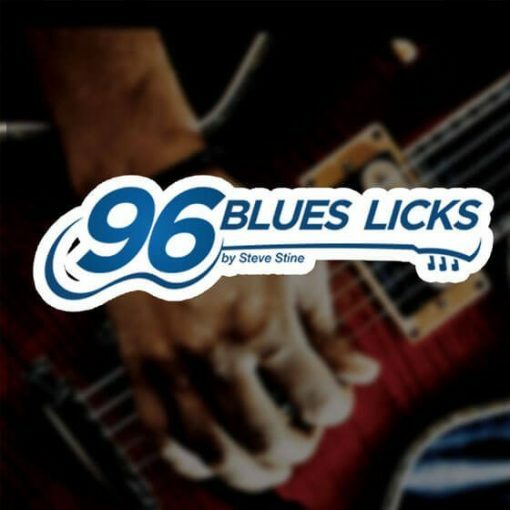 Licks 93-96: must-know turnarounds you can use in all styles of blues. 7 jam tracks in different keys, so you can practice your new licks and create solos from scratch. A discussion of how the blues influenced other styles of music. And how the blues is distinct from these other styles. Find out how barre chords can give you freedom when you play blues progressions. Which means, you’ll be able to play in any key with ease. 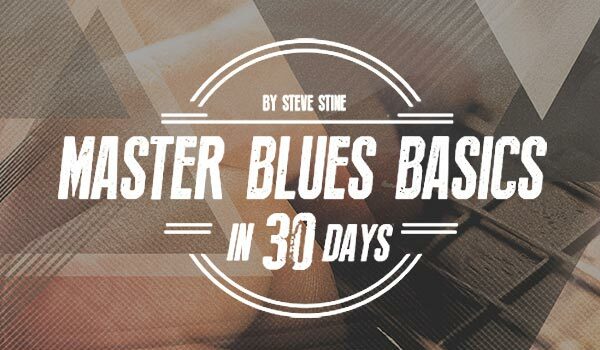 Explore variations on blues progressions, like the 8-bar and 16-bar blues. So you can mix things up whenever you want. How to play smokin’ blues riffs in the style of Muddy Waters and other blues legends. So you can sound like a pro when you play. How to play a variety of blues licks. Which means, you’ll have a ton of cool licks you can play on-demand in any playing situation. 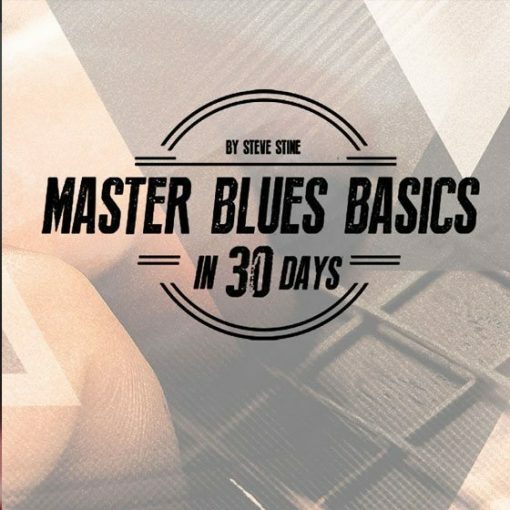 Discover even more essential blues techniques, like double-stops, legato, and position shifting. 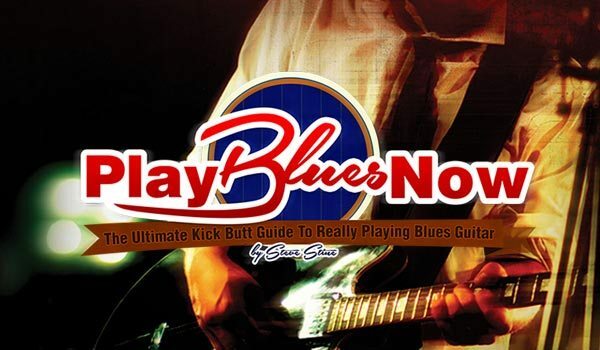 So you can play authentic blues solos every time you pick up the guitar.